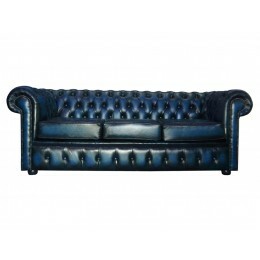 First of all you need to decide whether you want a leather or fabric sofa. Leather sofas are attractive and stylish, but may be prone to rip from heavy wear and tear. There’s also the issue of bare skin ‘sticking’ to the leather – though it is much easier to clean and maintain than fabric. Fabric sofas are soft and comfortable but can be a magnet for dust and fur if you have any pets. Fabric sofas can include scatter back cushions or attached cushions so take a look at a few of each to decide which you prefer. What arm style do you like? It can be easy to overlook this factor but it’s essential for the comfort of your sofa. Check the arm height and whether it would be comfortable for taking a nap or relaxing, and decide whether you want a solid straight arm, traditional curved style or even no arm at all. Do you want visible legs? Sofas with visible legs offer a modern and contemporary look while providing some storage space too, while full settees look more traditional and can include recliners. How big does your sofa need to be? How many people does it need to seat on a daily basis – and how many people do you want to cater for? Corner settees or sofa suites are the better option for larger rooms and greater numbers of people. Double and triple check the size requirements for your fabric or leather sofa. When you have your measurements it’s better to slightly underestimate to avoid bringing home a sofa that’s too big. While a funky style might look good in your home now, will you still feel the same way about your sofa in 5 years or so? Think about the colour scheme and style of your home – is it sleek and modern or cosy and traditional? A contemporary leather sofa would suit the former while a squishy fabric settee would suit the latter. Now You’ve Got the Style, Find Your Ideal Sofa Here! When you’ve taken all the above into account you should have a much better idea of what you’re looking for in a sofa. And best of all – you’re already in the right place to find your perfect settee! Our extensive range of sofas includes 2 seater, 3 seaters, sofa suites and even sofa beds in high quality leather and soft fabrics to suit all requirements. 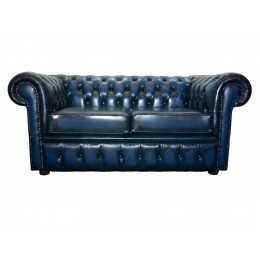 From genuine leather Chesterfield sofas and sleek leather styles to cosy fabric settees, Zest Interiors has the perfect sofa for you at a fantastically low price that you won’t find anywhere else. Take a look at our fabric and leather sofas online or call into our sofa showroom in Blackburn to view the range for yourself and talk to our professional and knowledgeable sales assistants. Alternatively, call our Sales Hotline with any questions or for more information about any of our leather and fabric sofas. 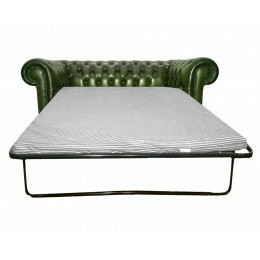 The Chesterfield is a world renowned sofa collection and these traditional original low-back designs.. 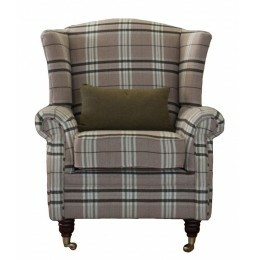 The Regal High Back Fireside Armchair is an excellent addition to any room, with its plaid patter..
0 Comments To "How to Choose the Right Fabric or Leather Sofa"